Welcome to my easy holiday meal of Balsamic Chicken Breasts, Stuffing Muffins, and Homemade Cranberry Sauce with Pineapple. This home cooked holiday meal comes together so simply that you can be lifted into the holiday spirit on any weeknight. And it’s healthy too. The Christmas decorations showed up in the stores before the Halloween costumes this year.I know it’s a cliché to talk about how early the holiday season starts. But I have to talk about it because the length of the holiday season seems to correlate with the number of inches in my waistline. To battle against the yule tide bulge, I’m on the lookout for healthier versions of my favorite holiday foods. Later this week I’ll be sharing a festive but lean appetizer salad with marinated Vidalia onions, pomegranate seeds and goat cheese. 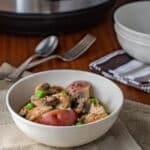 The following week I’ve got a dazzling accompaniment to roast meat (French Roasted Baby Onions) as well as an easy and healthy make-ahead breakfast that will add holiday fun to your mornings. 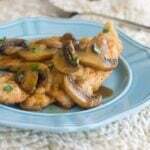 And then, leading up to Thanksgiving, I’ll be sharing a healthier and from-scratch (but easy!) version of a traditional Thanksgiving Green Bean Casserole. Today’s recipe is about bringing a healthy holiday spirit to weekdays. I developed this holiday dinner in collaboration with Produce for Kids. It’s a recipe for chicken breasts glazed with a balsamic dressing and served with fruit-and-veggie-studded stuffing muffins and homemade cranberry sauce with pineapple. First you make the stuffing and divide it into muffin tins which go into the oven. Meanwhile, you brush the chicken breasts with dressing and put them into the oven as well. While the chicken and stuffing cooks, you make a quick and easy homemade cranberry sauce that is partially sweetened with pomegranate juice. You add pineapple to the sauce and then serve it all up. It comes together from start to finish in about 40 minutes, which is pretty quick for such a festive meal. I make this dinner when I’m in the mood for a quick boost in my holiday spirit without the boost in my waistline. But the best part about this meal is that my kids like it too because there’s pear in the stuffing and the cranberry sauce is colorful and sweet. 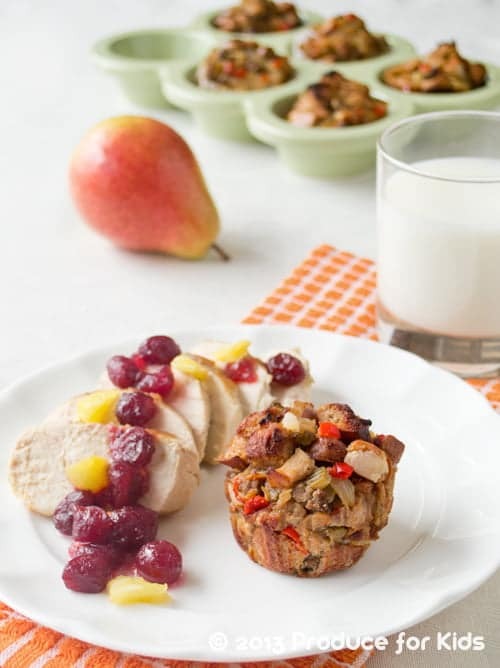 Click here to head over to the Produce for Kids website to get the recipe for Balsamic Chicken, Stuffing Muffins and Homemade Cranberry Sauce with Pineaapple. Why is my chicken, stuffing and homemade cranberry sauce recipe on the Produce for Kids site? A few months back, Produce for Kids and I began working together to come up with family-friendly healthy recipes. 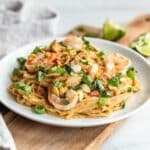 I developed 7 recipes for them and photographed those and a whole bunch more. Now my recipes and pictures are on their site and I’m going to be telling you about them over the coming weeks. Disclosure: I was paid by Produce for Kids to do recipe development, photography and promotion for them. All opinions come from me and are honestly my own.